But what you may not have realized, if you never wandered down from the corner of NW Market and Shilshole Ave and into the shipyard lot, is that the business also holds a large and growing amount of old Ballard business iconic signage -- a sort of private MOHAI on Salmon Bay, or perhaps a slightly different version of Gary Blevins' Sit-N-Bull in Clallam County, but with more emphasis on the exteriors. 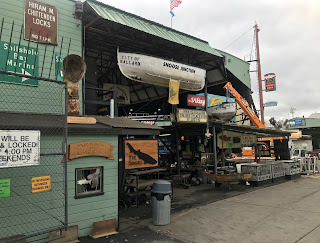 John “Doug” Dixon, general manager, joined Pacific Fishermen in 2001. 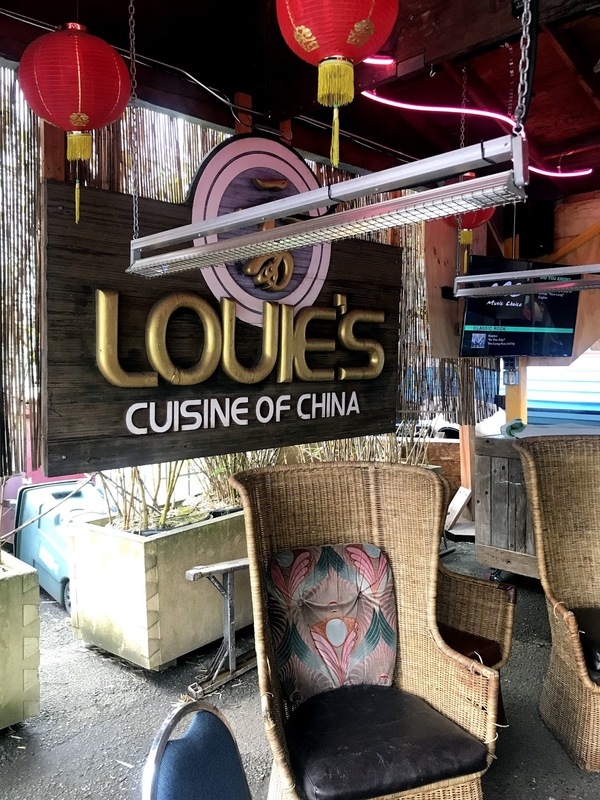 Dismayed as gentrification and other changes closed cherished hangouts, Doug started obtaining old signs and fixtures from the joints -- some purchased, some free at the request of owners (who, unlike Doug, didn't have a crane handy), and some by slightly more furtive means. 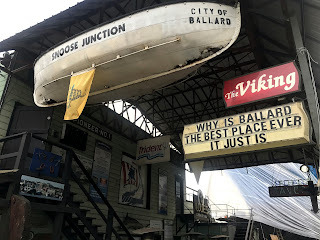 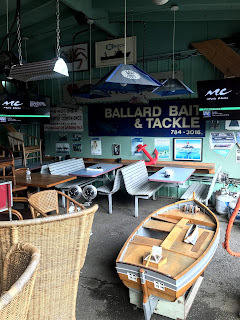 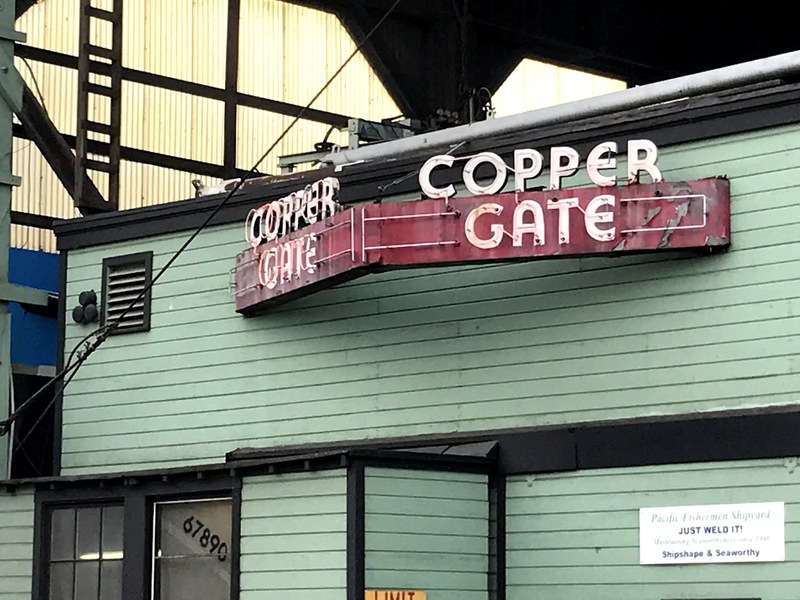 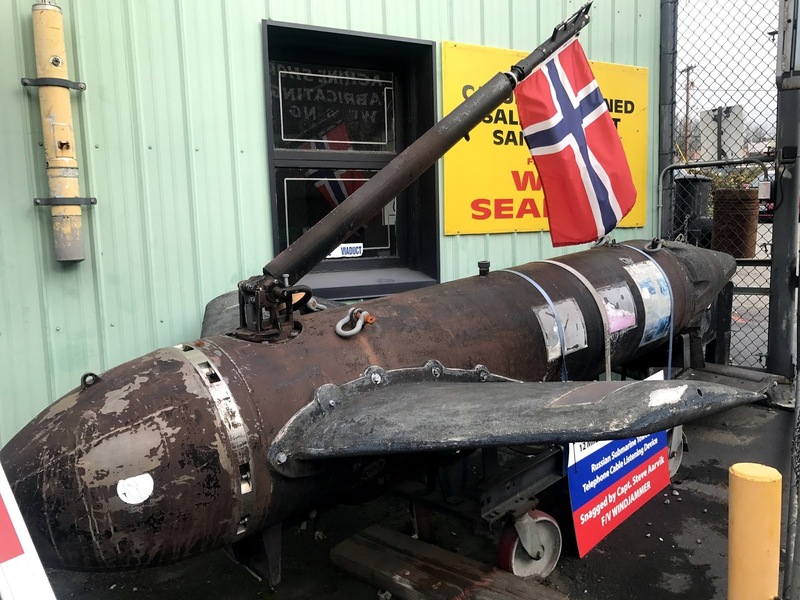 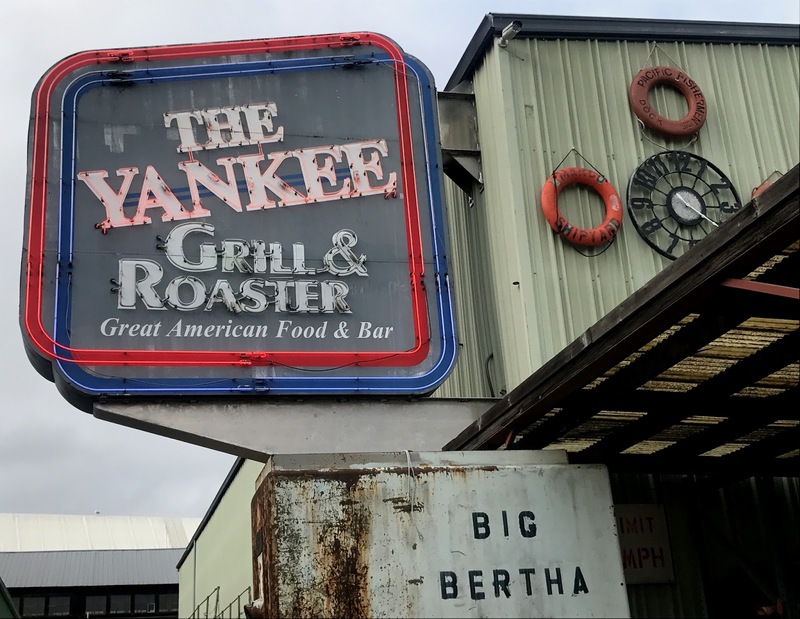 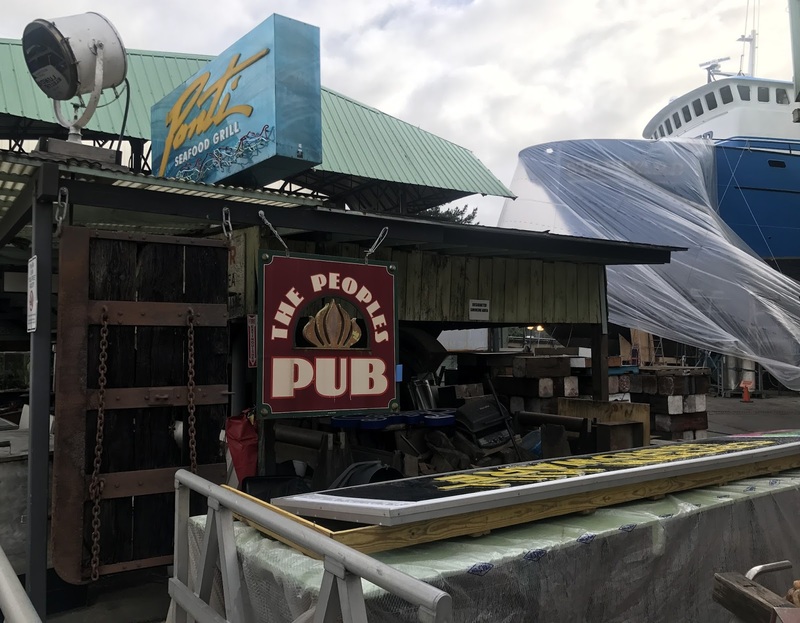 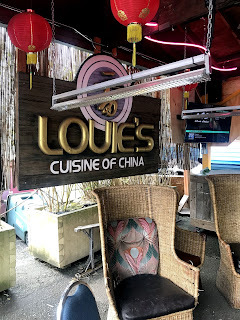 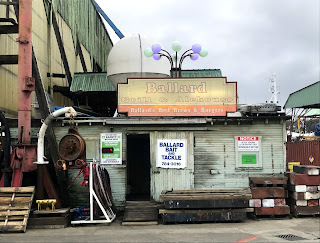 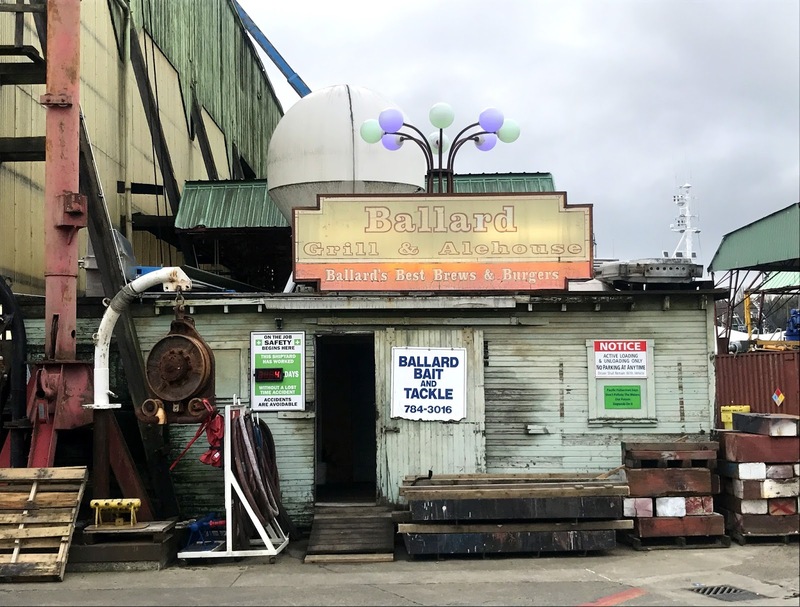 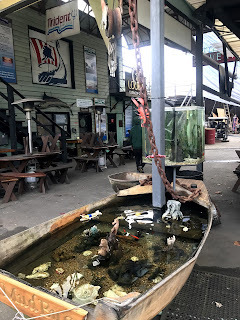 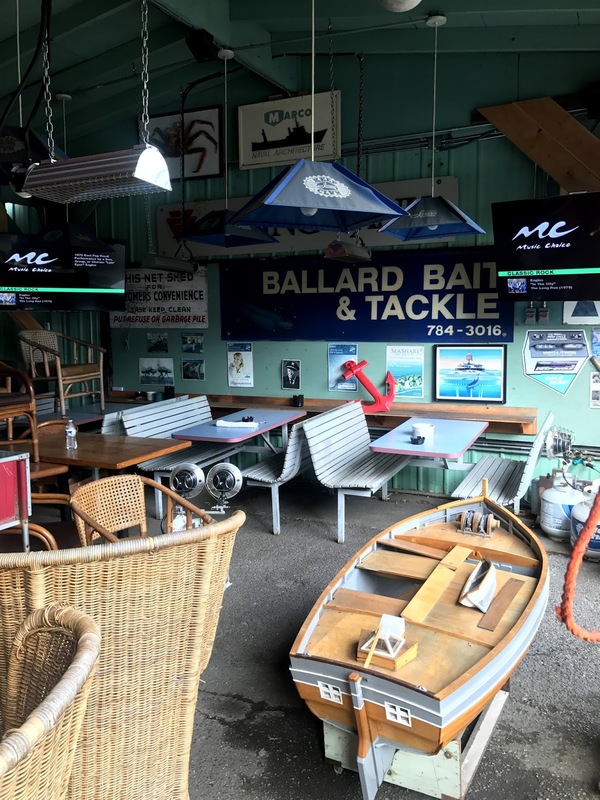 The old Viking Tavern, the Valhalla, the Copper Gate, Louie's, Ivars, Snoose Junction, Ponti, the People's Pub, the Yankee Diner -- they're all here, largely out of sight, but in a sense still home in historic maritime Ballard.